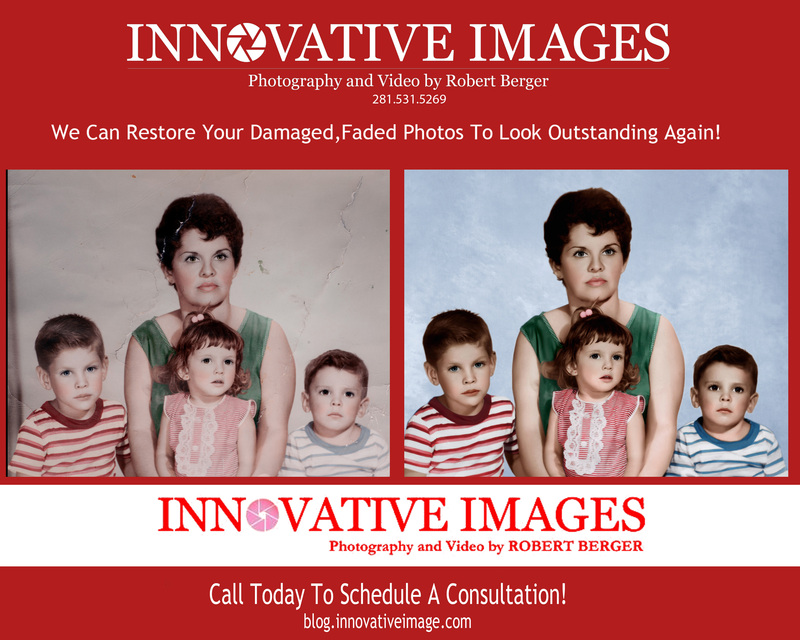 Finest Quality Photo Restoration Picture Restoration serving Houston Katy and Fort bend Texas since 1985! 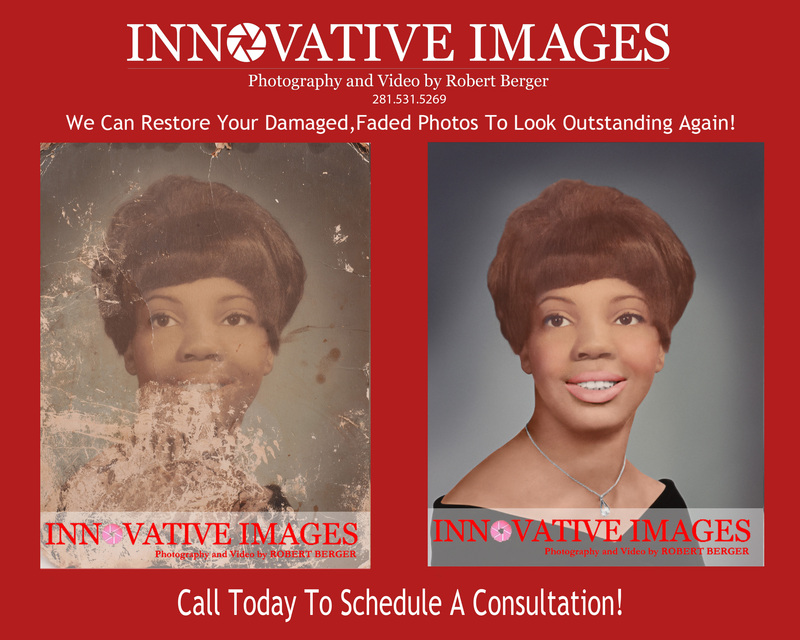 Don’t let your memories fade away with age – bring in your cherished photos and give us a chance to save them! 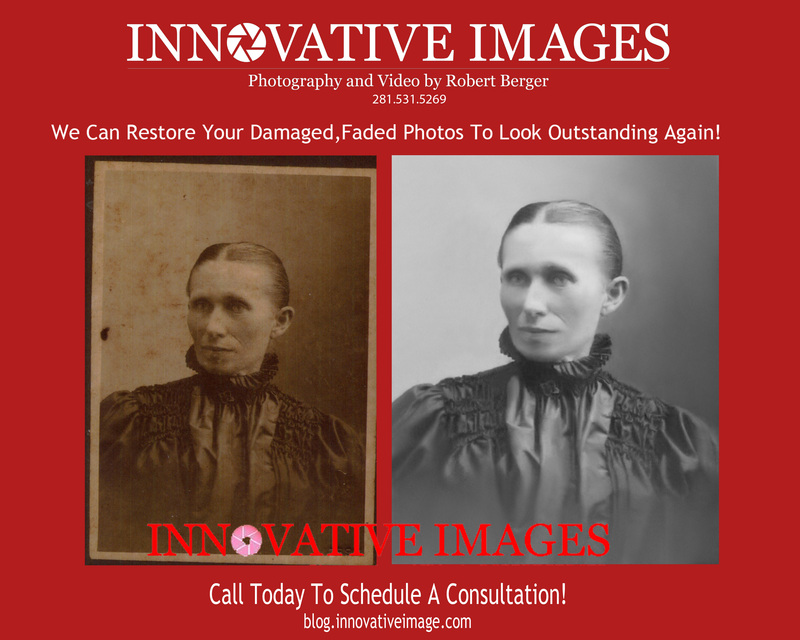 We provide expert professional photo restoration and photo reproduction services for your faded, cracked, stained, torn, or discolored heirloom photographs. 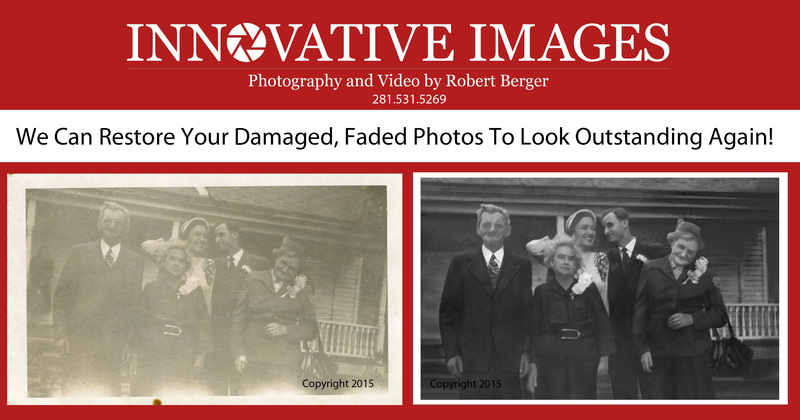 Flood, water and mold damaged photo picture restoration! 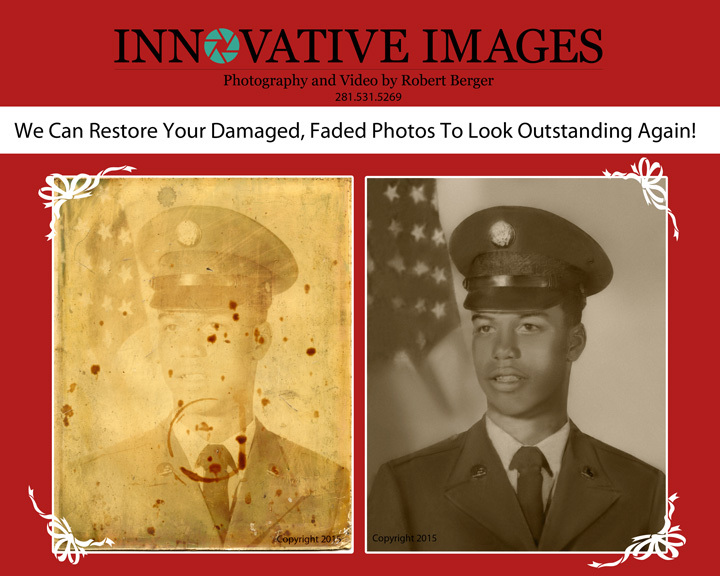 The photo on the left was damaged in hurricane Harvey. 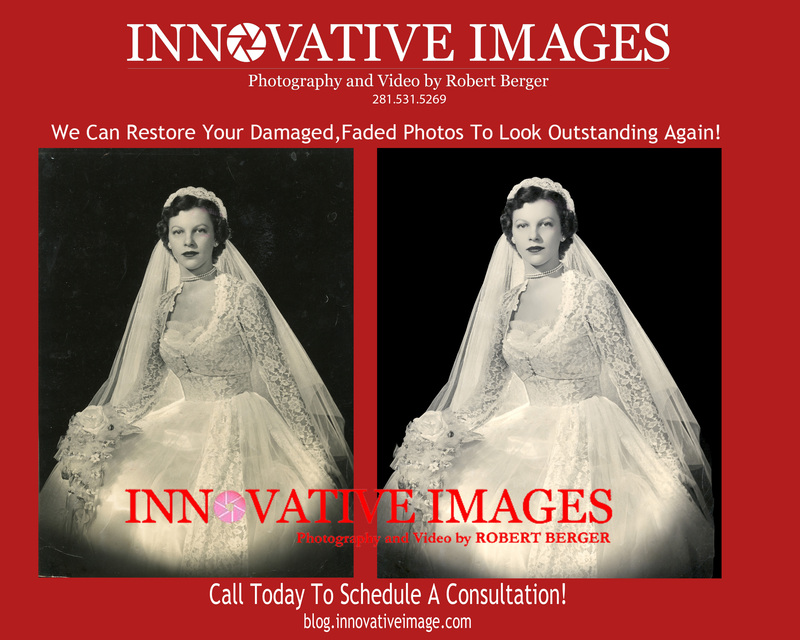 It’s important to bring your water flood damaged picture in as soon as possible to prevent further degradation. 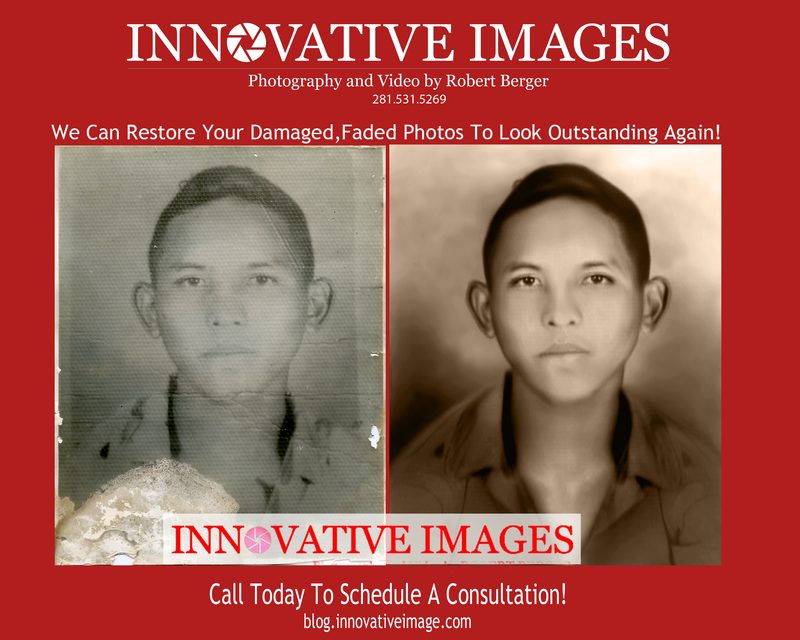 Your restored photographs are printed at our professional photo lab(same print quality as our professional portraiture). 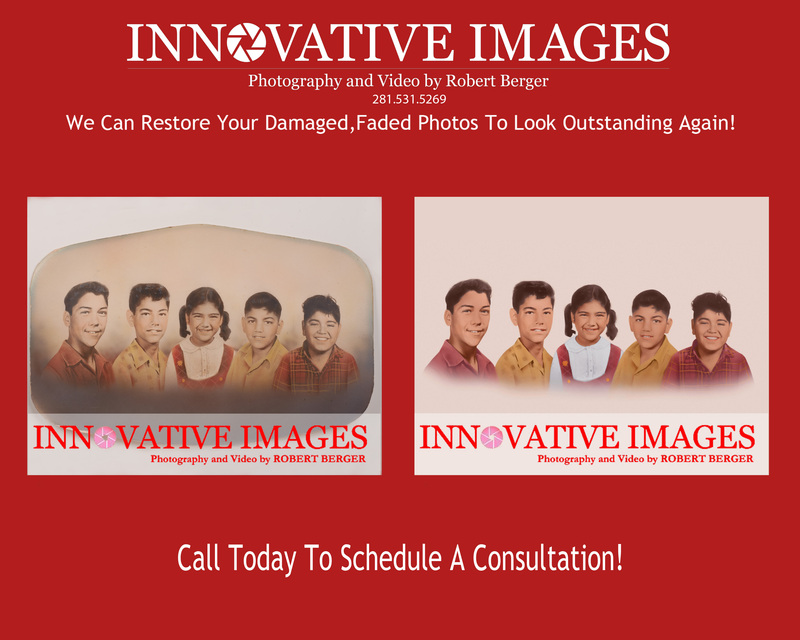 Linen texture, luster finish, mounted(1/8 to 1/4 inch thick backing) are standard finish for your photos. 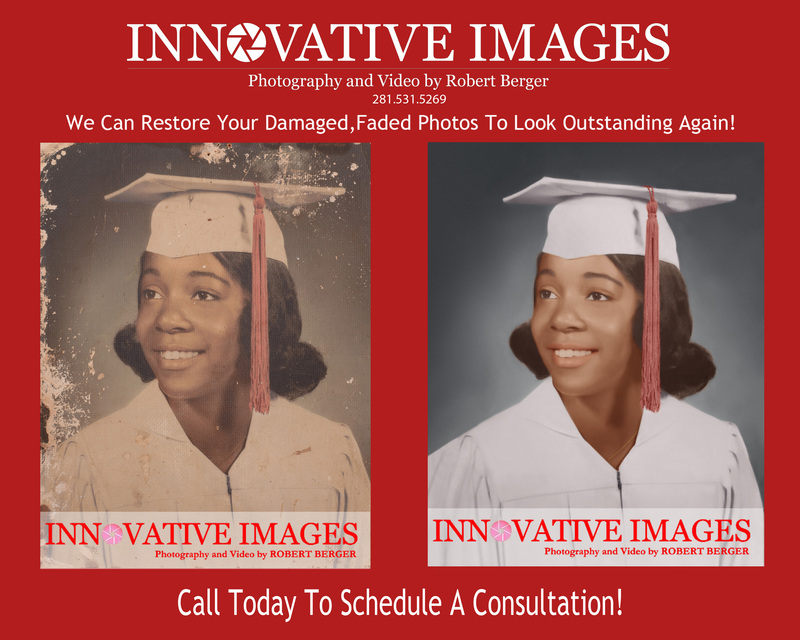 Canvas printing is also available(price quoted on request) as well as color tinting of black and white photos. 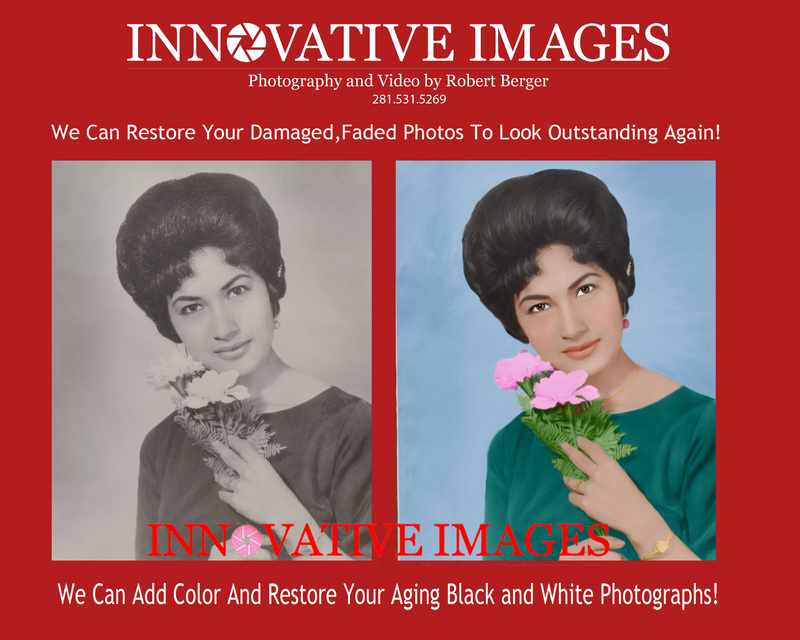 Your restored photo is produced to look outstanding as well as last for generations(fade resistant). 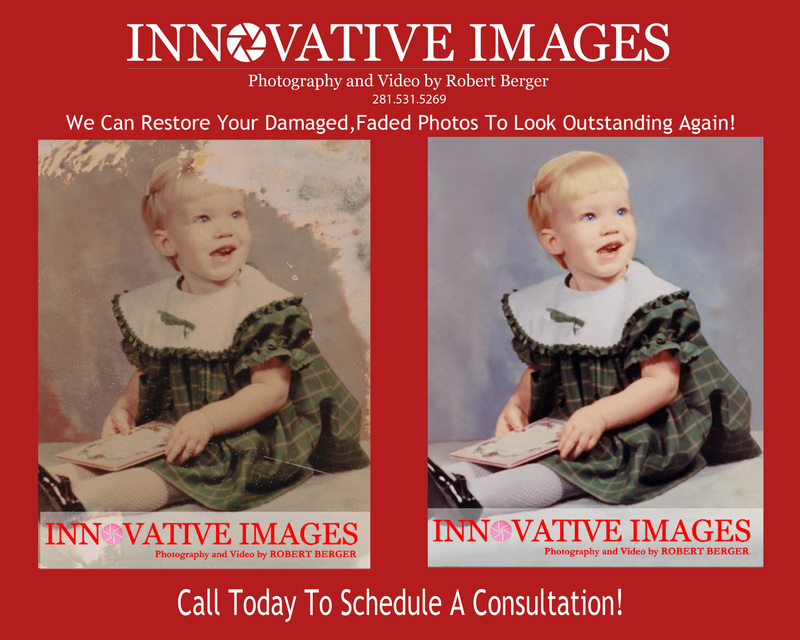 Schedule an appointment with us( Monday through Friday) and we’ll assess the extent of the restoration to your photo. 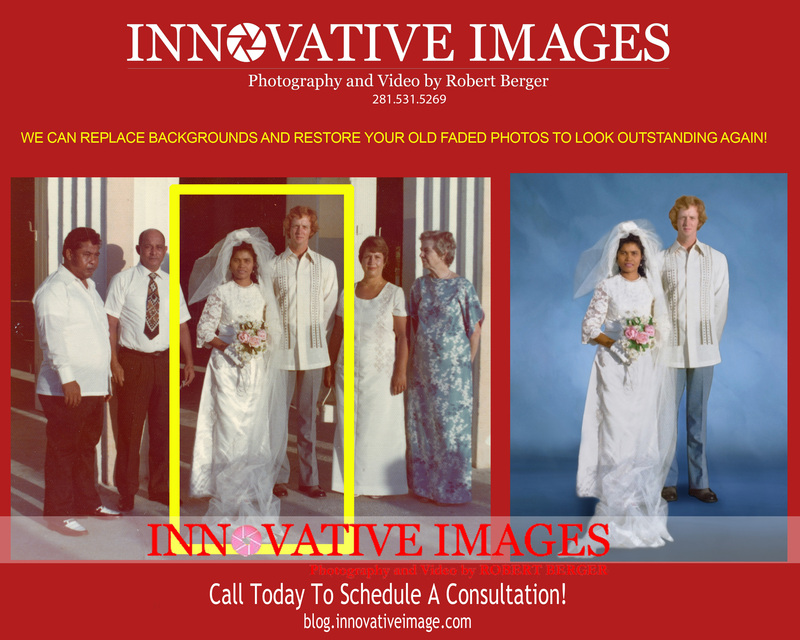 Please note, if we think your photo is beyond improvement, there is no charge to you for the consultation and we will return your original photo. 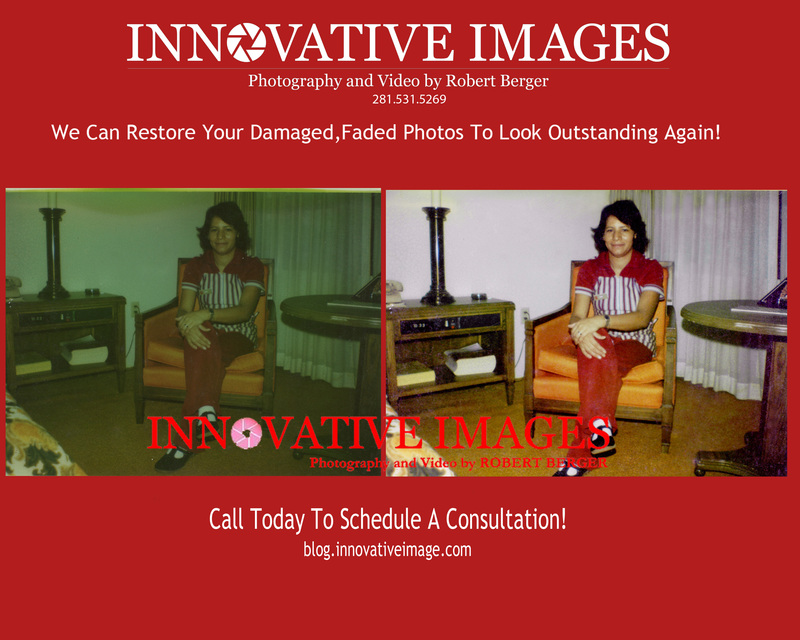 In many cases even highly damaged photos can be restored to look outstanding again! 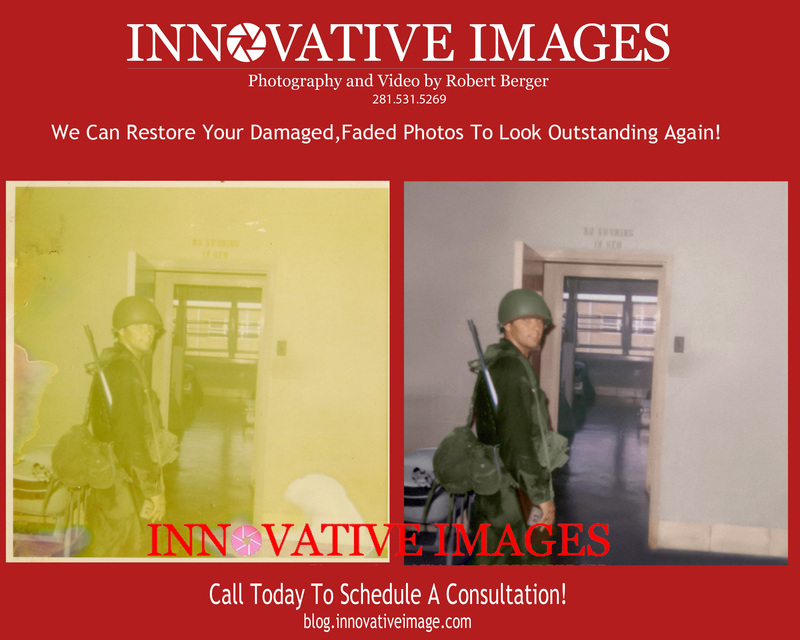 Please note- Out of focus or fuzzy originals cannot be enlarged or sharpened. 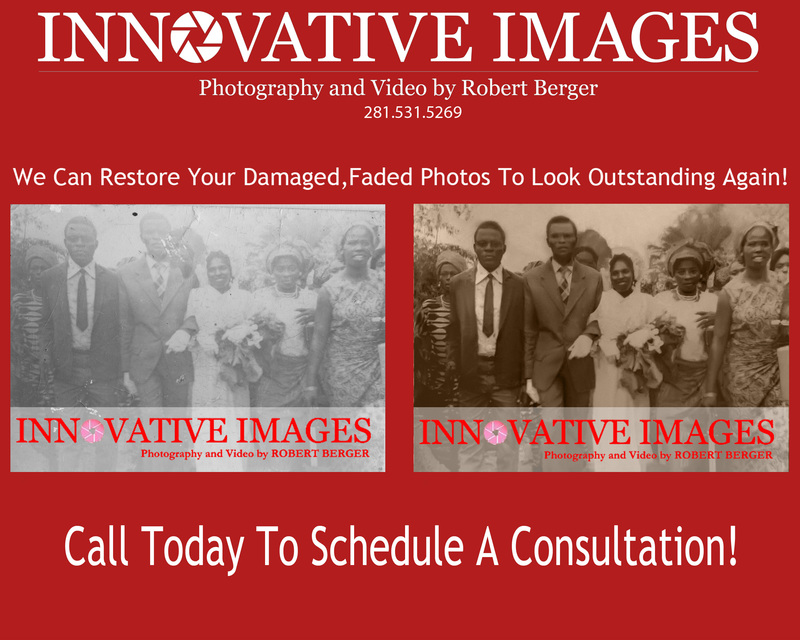 Copyrighted photos can’t be worked on without a copyright release from the original photo studio or photographer. 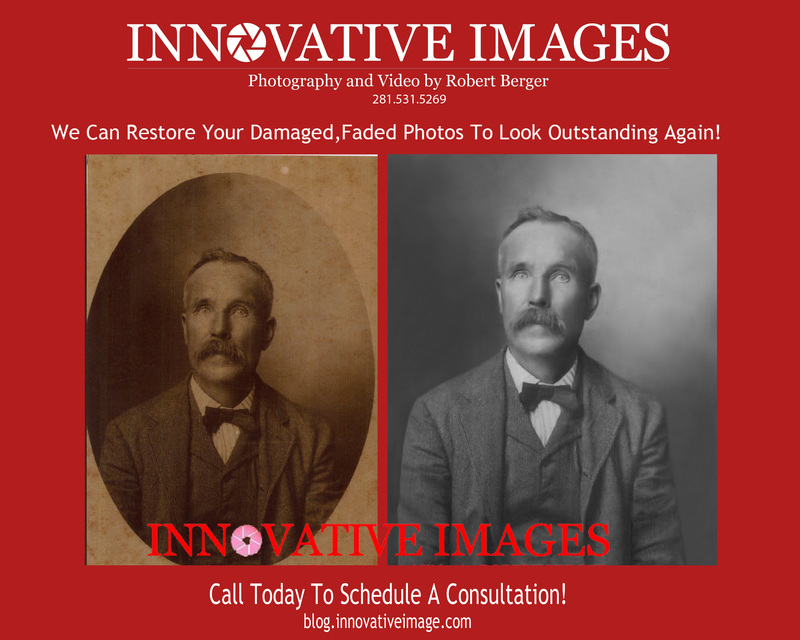 Flood, water and mold damaged photo picture restoration! 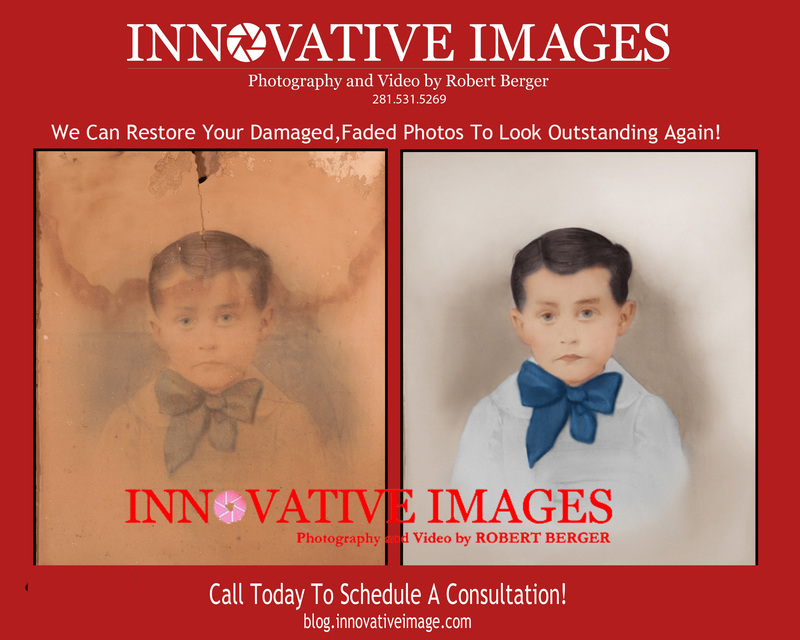 The photo on the left was damaged in hurricane Harvey. 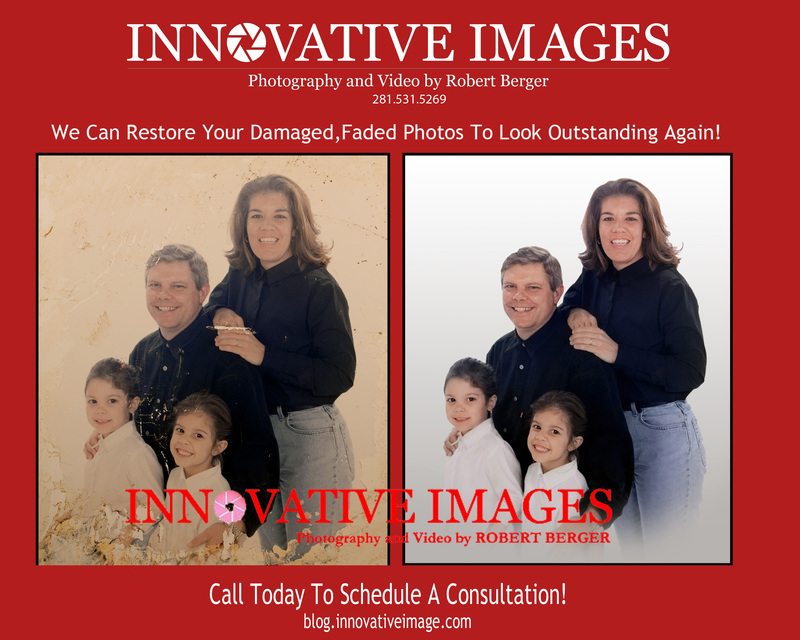 Robert Berger is an award winning photographer- portrait artist “Craftsmanship combined with artistic professional photography produce outstanding portraiture that is always admired and appreciated.” He has the most Google reviews in the Houston area for professional photography as well as a five star rating. 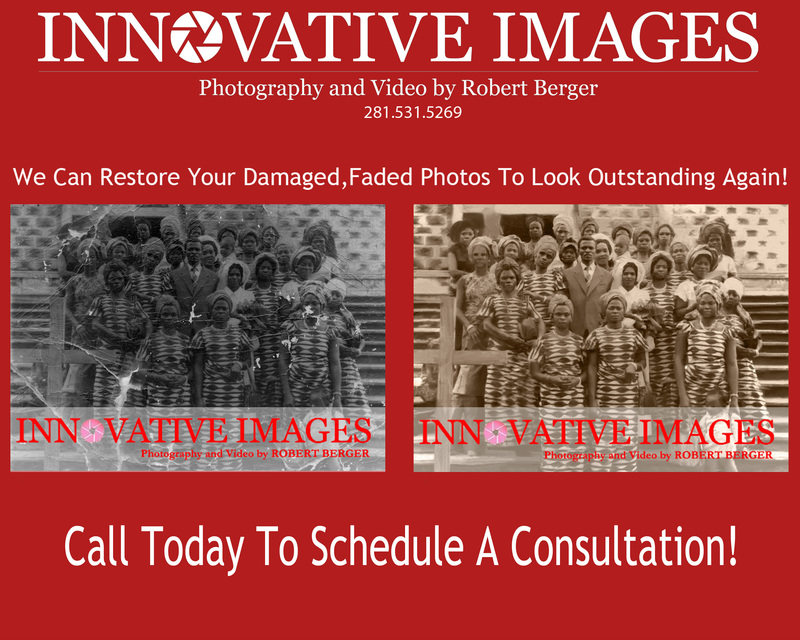 Copyright 2019 Innovative Images Photography by Robert Berger– Copying or redistribution of this page is not permitted without written consent by Robert Berger.